Islamic finance operates under religious beliefs and cultural characteristics of Muslim societies. According to Shariah (Islamic law), the Islamic mode of finance should emphasize profit and loss sharing and prohibit fixed-returns. In other words, any predetermined payment over and above the actual amount of the principal (i.e. interest) is prohibited. The Shariah also prohibits activities related to uncertainty, risk and speculation. Bangladesh is one of the largest muslim countries with over 130 million muslims. The demand for Islamic Finance is surely enormous which is now served by only seven full-fledged isalamic banks and by twenty one branches of other ten conventional banks. The growth of Islamic banking market in Bangladesh has shown a remarkable prospect in the last two decades. This study was conducted to see the status of Islamic Finance as a new alternative in mobilizing financial resources of Bangladesh. And to address the key research questions, a questionnaire survey was conducted on three different groups of people of Dhaka City, namely, depositors (98 respondents), borrowers (50 respondents) and practitioners (30 respondents) of Islamic Banks. Three different sets of questionnaire were prepared for each group of people and subsequently the data were analyzed using descriptive statistics. Islamic Finance in one way cannot charge any fixed return against deposit or lending and on the other hand they have to compete with their interest based conventional banking counterpart. To handle this competitive environment keeping the basic norms of IF, IBs are giving more focus on markup based investment opportunities that cause Profit Loss Sharing (PLS) mechanism to fall wayside. The study attempted to find out the reasons why a client like to deposit or borrow money form IBs, clients’ perception about PLS mechanism, clients’ confidence level on existing IF system operating in Bangladesh, problems associated with existing IF system in Bangladesh and how this problem issues can be handled to confirm expansion and sustainability of IF in Bangladesh. It has been found that most of the IBs are offering different deposit schemes and for lending money they believe PLS can work best. To share profit with the depositors, IBs are applying different modes to fix the return sharing ratio, out of which negotiated rate is the dominating one though it has also been found that having no fixed rate of return caused problem for the IBs to collect deposit from the market. To address this issue, IBs believe that Islamic banking under Shariah compliant banking structure rather than Islamic banking under conventional banking structure should be implemented. For lending money IBs marked ‘lack of market awareness’ as the dominating reason for better fund utilization by IBs of Bangladesh. The study also revealed the fact that, Islamic banking under Islamic Shariah and religious belief is the basic reason why people likes to deposit and the same time borrow money from IBs of Bangladesh. On the other hand, IBs of Bangladesh thinks that for depositors, profit sharing could be the most attractive approach and for borrowers, spreading knowledge about IF could be the most attractive approach. So, thoughts of clients and banks are not same in the existing situation, so it would be better for the IBs of Bangladesh to focus more on the motto of their business as a business under Islamic Shariah and based on religious beliefs. Confidence level on IBS of Bangladesh by clients is not at a satisfactory level as most of the depositors and borrowers said, IBs are not complying with basic norms of Islamic Shariah. Reasons behind such lack of confidence on IBS by the respondents include, bankers mentality about profit maximization than to follow Shariah compliant approach, lack of understanding about IF both by the clients and the bankers; absence of PLS mechanism, lack of having Islamic laws in practice, etc. As profit and loss sharing (PLS) is always get the priority under IF, the study was conducted to address whether in Bangladesh market IBs can go for PLS or not. The study has been identified a very positive and hopeful result. Most of the borrowers of IBs are ready to accept banks to act as an equity provider than simply as debt provider and they are also ready to accept banks’ interference on business operation. The problems faced by IBs regarding implementation of PLS can be successfully handled by them as they can have supervisory role and even participatory role over the client’s business. For expansion of IF, all group of respondents agreed that, it is necessary to spread knowledge about IF and its impact on the economy. The same action besides, developing unified Shariah council and government interference on IF can also help to confirm sustainability of IF in Bangladesh. Depositors of IBs marked variability of return is one of the reasons that should be addressed by the IBs as it confuse them to determine their expected return rate. On the other hand, borrowers of IBs marked one basic reason why they borrow fund from IBs and they said that, IBs strengthen confidence and security of financial transaction. Practitioners of IBs identified different operational, expansion and sustainability problem they faced regarding IF and they have marked uniform operational procedure of Islamic Banking is one of the basic operational problem, lack of consortium or syndication of the IBs is one of the basic expansion problem and lack of courses on Islamic economics, banking and finance at the educational institutions is one of the basic sustainability problem faced by the IBs of Bangladesh. At the end of the report, some recommendations have been provided so that the problems and issues identified by the study can be addressed properly. Investment is the main engine of development in a developing country like Bangladesh. Theoretically the road to the perdition of growth and development is critically en-route to a strong investment base of a country. Historically, in Bangladesh since the 80s the nexus between the growth of economy and investment was not robust. Last two decade Industrial contribution to Gross Domestic Product (GDP) was slowly rising and varies between 13 to 18 percent of GDP (BER, 2008). The probable reasons are inefficiency in public sector investment, little progress in attracting foreign direct investment, etc. Real estate sector in contrary to industrial sector is a new area which at the moment contributing more in our GDP. In Fiscal Year (FY) 2009-10, real estate accounted for seven percent of GDP (BBS, 2009). Advent of rapid urbanization in divisional areas this sector experience a boom during the 90s. One of the many reasons is the huge inflow of white (untaxed) money into this ever-flourishing sector. The overwhelming interest of this research is to explore whether there is an inflow of white money spillover or does it attract more investment in real estate sector. Urbanization is the heart of expansion of real estate sector in Bangladesh. Every year urban growth in Bangladesh is approximately 5 to 6% per annum (REHAB, 2003; Sarker and Siddique, 2008). The growth of this reflected in the upward trend of real estate asset demand in Bangladesh. Literature suggest couple reasons behind the this demand, some of those are, remittance injection, flexible housing loan facilities, and, influx of untaxed income in this sector (Murshid er al, 2002;Sarker and Siddique, 2008;Khan and Borua, 2009). The other contributions of real estate in GDP are 36 crore taka taxes per year, attracting large volume of investment, and, substantial contributions to the growth of a host of backward and forward linkage (CPD, 2003). The trend of investment in real estate sector in last couple of years showed a healthy trend because of government declaration of white money in real estate sector. The actual amount of investment coming from white money is impossible to determine. But policymakers assume that arrival of white money can have an upward trend. This study try to level those believes. The study is conducted among the Chief Executive Officers (CEOs)/owners of real estate companies and investors (buyers) of real estate in Dhaka. This is a cross section study where data was collected via quantitative survey. The survey collected information on composition of real estate financing by clients, prospects and challenges in the real estate business with more specification to inflow of white (untaxed) money, linkage between scope of expansion of investment in real estate sector and white money. 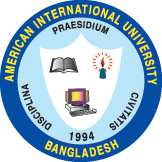 The study is conducted in Dhaka district. A simple random sampling procedure is followed where the study area would be selected purposively. A total of 50 companies are randomly sampled from a total of 581 members of REHAB. The samples of 50 investors are selected purposively. The contribution of real estate sector is multifold, ranging from GDP growth, employment generation, raising the investment potential, etc. But to assess the actual effect of white money towards bringing more investment in this sector is a major challenge the policy makers faced. This study tried to explore the nature and degree of white money’s impact in this sector from a perceptive point of view. Some of the major findings of this study may be look flimsy, despite this study shed light on the debatable issue of white money with a simple analytical framework. • The main reason for expansion of real estate sector in Bangladesh as per both buyers and sellers are, high urbanization, and, scope of safe investment. • Choice of Favorable policy for real estate sector expansion by government might have strong positive impact on this sector. Better control and fair monitoring of real estate firms should be the appropriate policy aiming to improve investors’ welfare. • Most of customers belonged to very rich class or rich middle class as per the view of respondents. Per square feet price of real estate varies from 3000 to 5000 taka. • Bank loan is the main source of finance in the purchase of real estate assets, followed by remittance and self-finance. • Forty percent (40%) of respondents believed that the size of white money in real estate sector is zero (o) to five percent. Thirty four percent (34%) of the respondents reported that they have no idea. A large 72 percent of owners informed the best mode for converting white money should be investment in real estate sector. • The best medium for transacting white money is either sending money through informal channel or through banks. The appropriate time for whitening the untaxed money as per the buyers is often during the year and seller argued during the submission of the income tax return. • Finally, largest number of owners (76 percent) believed white money has strong impact over real estate sector in the form of business expansion. To establish a positive linkage of white money with investment in real estate sector a thought provoking effective policy shift is required. To avert differentiation in price and facility for with and without white money holders, there should be some common modalities in company specific facilities towards the both group of customers. Finally, a strong and flexible role of government is desirable for make it achievable. Bangladesh is a country of immense potential for investment. It has all the natural endowments that are considered essential elements for a particular region to thrive up as a palatial place and a conducive climate for investment. But owing to lack of timely initiatives and policy intervention as well as lack of commitment and slow implementation process of the scheme on the part of the government are attributed to the under exploitation of its immense potential. The purpose of the study is to (1) characterize the auxiliary factors in terms of: scope, structure, operations, services and utilization, (2) determine the overall contribution and level of significance of the factors such as effective ports and efficient customs, (3) identify the problems/constraints that hinder the contribution of these factors to investment climate, (4) identify potential interventions to sustain the impact of these factors. The Chittagong port is the most important gateway for the external trade of Bangladesh. This is because it handles nearly 90% of the country’s export and import cargos. The growth of the volume of business at the port is 14% per annum and this growth is expected to shoot up rapidly in near future. The operational capacity and efficiency of the ports and customs services are the desired pace for creating conducive climate for investment and in turn accelerate economic growth. These are critical elements in view of the direct influence in generating sources of funds and the support it can provide in terms of manpower. The study is conducted among the investors (Company Representatives, Officers and executives, importers and exporters) and professionals (Officials of port and customs authorities, CBA, C & F agents, academics, journalist and more). Primarily, a descriptive research methodology is conducted using exploratory data analysis techniques. The study is conducted in Chittagong and Dhaka. The problems/issues in the investors and professionals agreed are: inefficiency of the Stevedores in performing their functions or in providing services; non-cooperation of trade unions and dock workers; complicated and unnecessary steps for obtaining customs clearance; common practice of under the table transactions; time consuming process for obtaining VAT and other customs licenses; unsustainable computer service for customs clearance and other computer based services; lack of expertise by the PSI company officials in dealings with ports and customs services. Of the 25 factors that were identified to have contributed to the Investment Climate of Bangladesh, Fifteen (15) were found to be insignificant in the Chi-Square Test which means that both the professionals and investors agreed that these factors contribute to investment climate. On the other hand, in case of rest ten (10) factors, the professional and investors differ in their opinions for its contribution to investment climate. It is interesting to note that five (5) factors such as: higher initiatives to port and customs officials, useful R&D activities, obstacles in doing business in Bangladesh, shortage of custom officials and lack of proper training were found to be most dominating factors in its contribution in creating investment climate in Bangladesh. These factors, therefore, should be made as the foci of interest of the government in formulating policies to address the concerns revealed in this study. The recommendations were divided into two parts: Policy Related and Systems Relations. For the Policy Related, facilitating paperless transactions on an e-trade environment and to minimize human inference. This is necessary to make all information available to all stakeholders such as ports, customs, banks, insurance, C&F agents, shippers and other agencies, bringing all these stakeholders under one computerized system that needs a wide networking among these groups can only do this. This will also reduce the informal economic work and corruption in ports and customs. To reduce the steps for customs clearance, Pre Shipment Inspection (PSI) should consist of requiring imports to be inspected by a private surveillance company at embarkation ports in the exporter’s firm’s premises, instead of just at the importing customs this will also prove to be a powerful expedient in cases of extreme customs inefficiency and may reduce the fraud when customs are corrupt. As for some of the Systems Related recommendations, CP officers and staffs are required to be educated, experienced and skilled manpower, which is necessary for operating highly technology dependent environment. For an easier procedure, the authority, to manage their jobs and the easy delivery of services, the payments could be made in one place instead of going to several offices for payments to be made. Automation in every stage of customs operation is needed to improve efficiency and effective customs, to ensure transparency and accountability and to minimize human interference that in turn reduces corruption. Automation also makes information available to all stakeholders for better trade facilitation. Doing business in developing countries like Bangladesh face various obstacles such as larger regulatory burdens including entry barriers, poor infrastructure, corruptions, political instability etc. existing and prospective investors were asked to identify the top obstacles for doing business in Bangladesh. This study points to several factors of ports and customs in influencing the creation of a conducive climate in Bangladesh especially in ports and customs operations that require urgent attention. The study significantly revealed these factors such as: overhauling of ports; introduction of competitive and performance based services; establishment of fully automated customs services; payment of taxes and other tariffs at one point; introduction of private sectors as a partners with ports and customs.